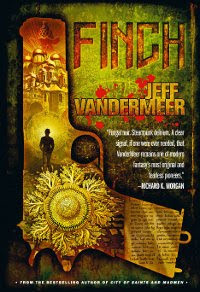 Take a minute to visit this site and learn more about Jeff VanderMeer's new novel Finch. 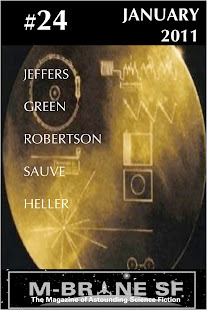 This is the coolest promotional site for a novel that I have seen in a long time. You will find info about the author's book tour, a bunch of review excerpts and some fine treats like a PDF excerpt and--coolest of all--the instrumental soundtrack created for this book by the band Murder by Death. I am listening to it as I write this post, and it is wonderful. At the bottom of that page, there is a link to a reader's kit where you can find posters, icons and links to order your own copy of the book. I have not read the novel myself yet, but I will be soon (probably while listening to the soundtrack!). I wish I would have thought of having some of these kinds of goodies for Things We Are Not. But I'll have some new inspiration for promotion of future books published by M-Brane. Oh, did I say that out loud that there will be future books from M-Brane? Well, I guess readers of this blog already know that Aether Age is coming next year. There might be some others as well. You'll learn about them here first.